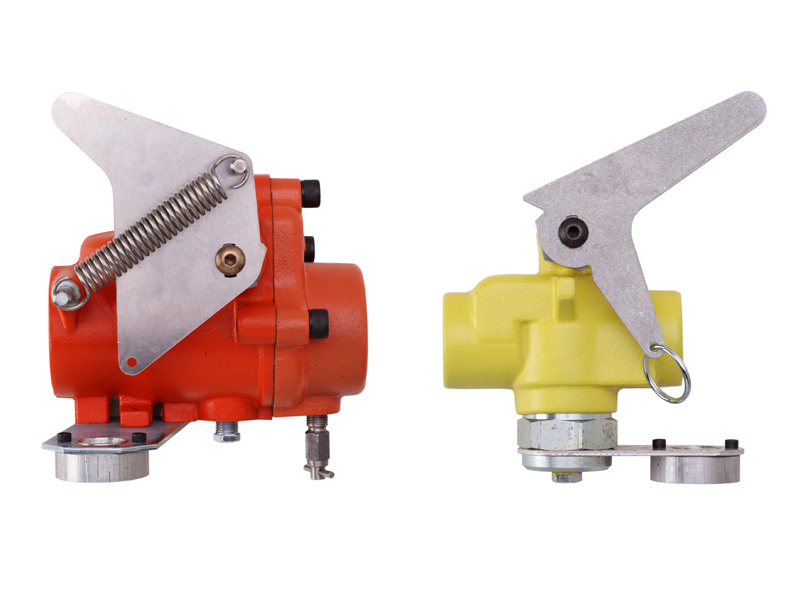 Our NH3 (anhydrous ammonia) emergency shutoff valves "cable style" come in the A-JJ2L and A-JJ2V. The A-JJ2L two-inch swing valve and the A-JJ2V 1-1/4 inch shutoff valve meet the American National Standards ANSI K61-1 and the Compressed Gas Association CGA-G-2.1 requiring all stationary storage installations to have an emergency shutoff valve installed in the liquid fixed piping. The unique cable arrangement allows the valve to be shut down in case of an emergency from any direction, maximizing the opportunity for a quick and safe shutdown. Continental NH3 manufactures emergency shut off valves and hydraulic shut off valves in cast steel, stainless steel and aluminum. A-JJ-2-L 2" 25 foot stainless cable 1/4"